Where do you mainly find your news? Do a survey to determine where most individuals get their news. 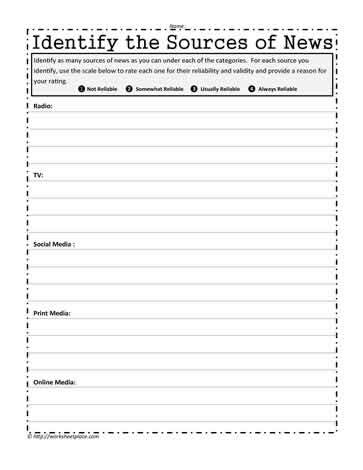 New source media literacy worksheet for 7th grade and 8th grade.